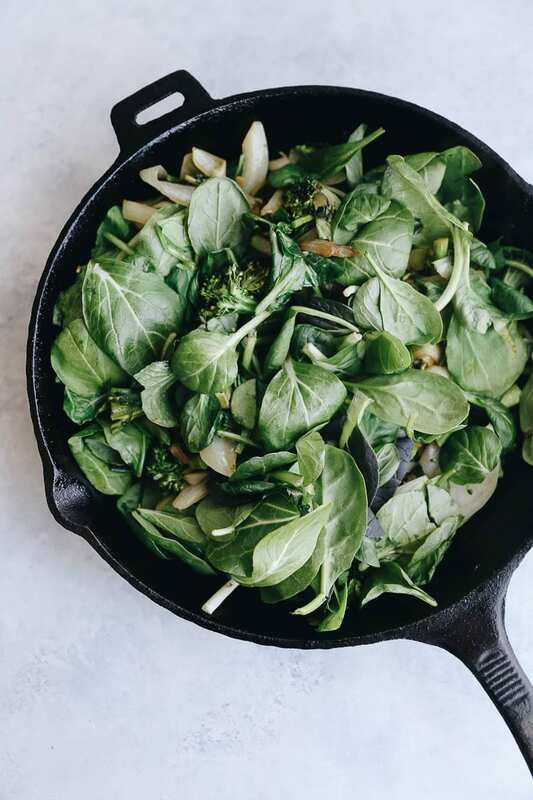 Wake up the right way with this Caramelized Onion, Broccoli and Spinach Frittata. 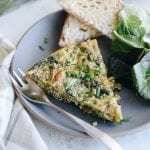 Made with organic onions, broccoli and mighty spinach, this frittata will hit the spot for a quick weekday breakfast or weekend brunch. If you watched my Week in the Life video you know I was recently down at Earthbound Farm chatting with their team. Not only do I love hanging out with their team (hi guys! you’re the best!) but it’s also so nice to be around people who understand and appreciate organics. They don’t require any convincing on the topic. They see it every day and they just know, it is the only choice. So what do I mean by “only choice”? I’m talking about the health of our planet. Because while conventional produce may have given access to cheap produce across the US, it’s depleting our soil in the process. And guess what? This means we won’t have a planet to enjoy that delicious salad or freshly picked raspberries. We just got deep REAL fast. If you read my 5 reasons to choose organic post you know how passionate I am about this topic. I’m on a mission to educate people that organic is not a marketing term. It is a strict set of regulations that farmers must follow that ensure the preservation of our food system and our planet. Its impacts are greater reaching though. It is better for our bodies, better for our farmers, better for our soil and honestly, it just tastes better! But today I’m focusing on one topic and the reason I choose organic. I choose organic for our planet. A planet that I’d like to leave in better shape for the next generation. That means adopting farming practices that not only slow climate change, but actually reverse it. Evidence has shown that organic practices actually store more carbon in soil. On average, organic farms have 44% higher levels of humic acid, the component of soil that sequesters carbon over the long term, than soils not managed organically (source). That means the soil is effectively “eating up” the carbon that would otherwise be released into the atmosphere, reversing the impact of climate change (source). THAT’S HUGE! “But organics are so expensive!” I get it. I know cost can be a barrier to entry for so many, but without a planet we can use and enjoy, the marginal increase in price for organics doesn’t matter all that much, does it?! That being said, I think it’s important to recognize our own limitations (right now) and make conscious choices where we can. That may mean swapping out one ingredient for an organic version. 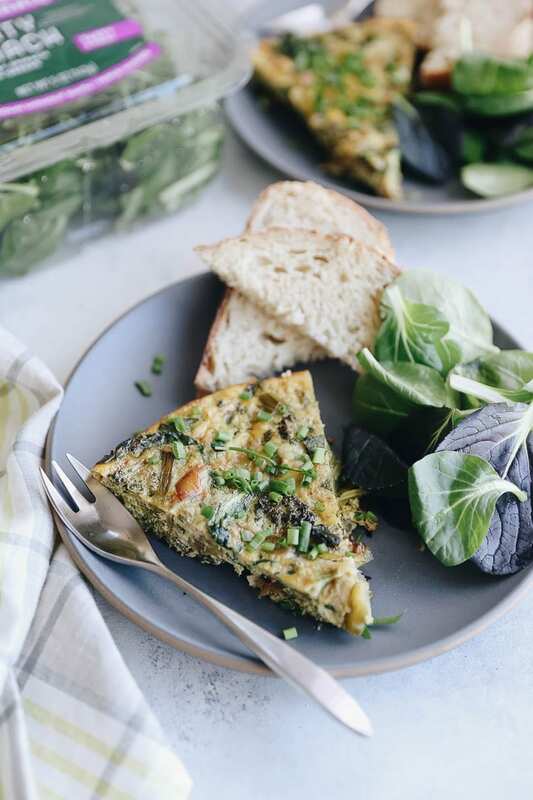 Or perhaps three so you can make this Caramelized Onion, Broccoli and Spinach Frittata! There are many reasons why organics are the better choice but today I encourage you to make the choice for the planet! Let me know why you choose organic or an organic choice you made today by sharing the hashtag #IChooseOrganic on Instagram! 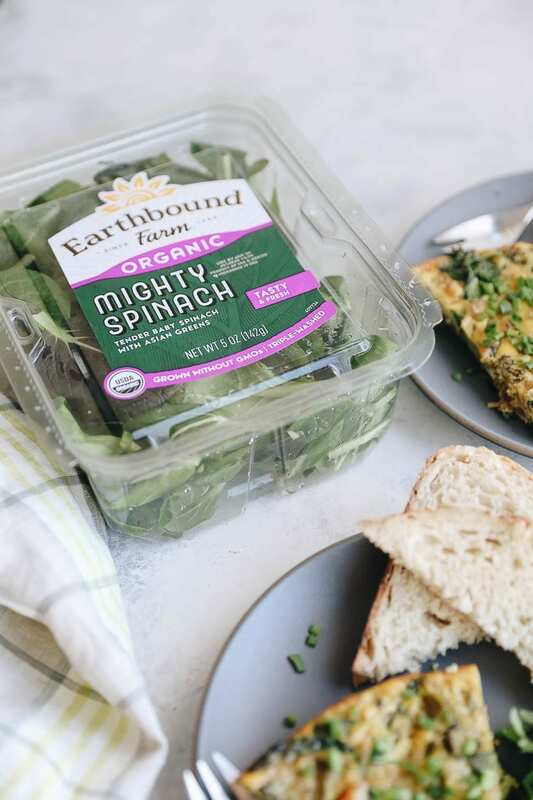 Would love to see your reasons AND now through February 17, you have the chance to win some Earthbound swag if you tag @earthboundfarm and hashtag #IChooseOrganic and #sweepstakes in your post about why you choose organic. Full contest rules. Disclaimer: This post is sponsored by Earthbound Farm. I am a 2019 ambassador however all opinions expressed are 100% my own. Thank you for supporting the brands who help make THM possible! To learn more about Earthbound Farm and the incredible variety of organic produce they grow, visit their site here.